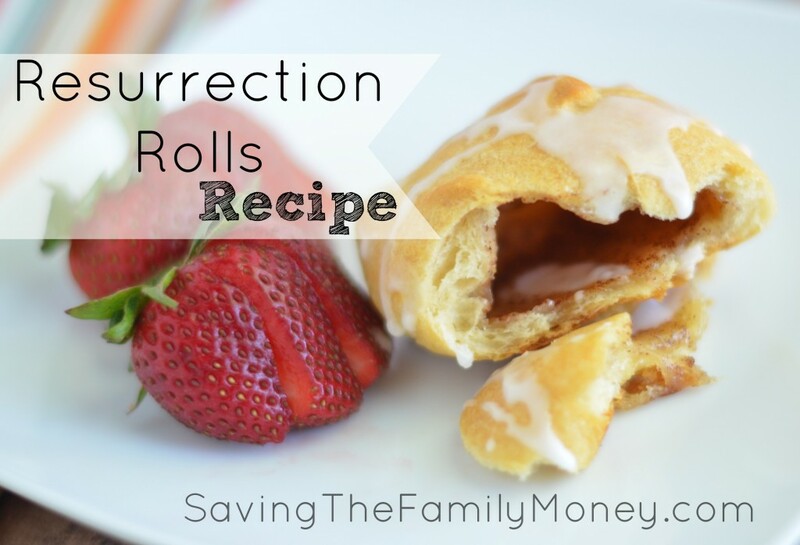 This Resurrection Rolls Recipe is a great cooking activity to do with your kids while teaching them the true meaning of Easter. We do these every year. You can also try Resurrection Cookies. They are both great but the rolls really got the point across with the kids about the empty tomb. And just let me tell you how yummy they are! 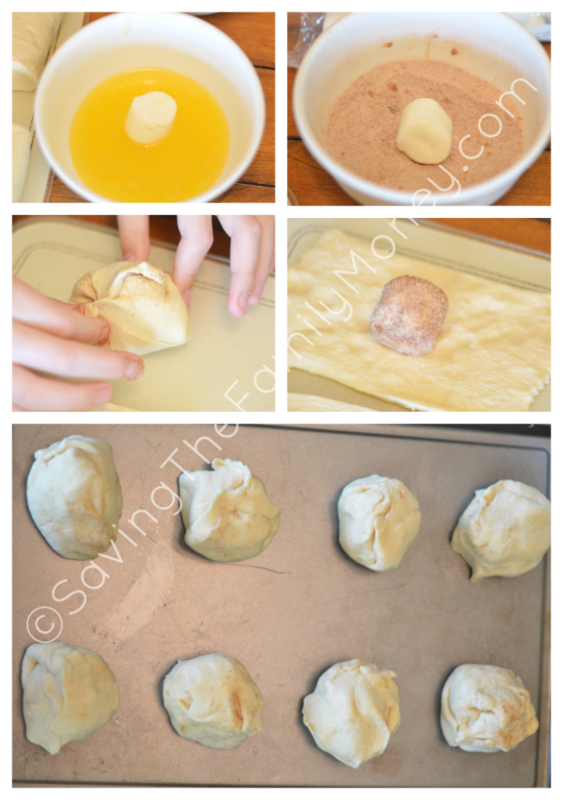 Give each child one triangle shaped section of crescent roll. Tell them the crescent represents the tomb or the cave where Christ was buried. Bake according to package directions on the crescent tube. Drizzle with icing if you made it. Cool, then serve and show the kids how the tomb is now empty and Christ has risen! My kids wanted to try using 2, to see if it would make them bigger, but really it was too much dough and they didn’t rise correctly. That’s why the one picture shows 2 pieces with the marshmallow. I forgot to take a picture with the 1 triangle.